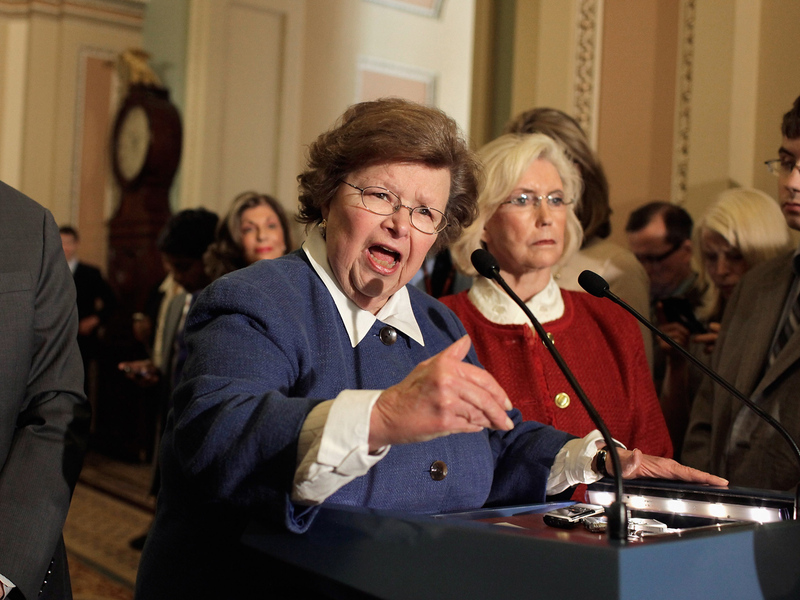 (AP) WASHINGTON - Senate Republicans on Tuesday blocked a Democratic bill calling for equal pay in the workplace. But President Barack Obama and his congressional allies aren't finished appealing to women on the No. 1 concern for all voters: the cash in their wallets on the heels of recession. As expected, the pay equity bill failed along party lines, 52-47, short of the required 60-vote threshold. But for majority Democrats, passage wasn't the only point. The debate itself was aimed at putting Republicans on the defensive on yet another women's issue, this one overtly economic after a government report showing slower-than-expected job growth. "It is incredibly disappointing that in this make-or-break moment for the middle class, Senate Republicans put partisan politics ahead of American women and their families," Obama said in a statement after the vote. "Even Mitt Romney has refused to publicly oppose this legislation," added Senate Majority Leader Harry Reid. "He should show some leadership." Unlike past taunts over access to contraception and abortion, Republicans this time didn't take the bait. "Of course Gov. Romney supports pay equity for women," said Romney spokeswoman Amanda Henneberg. "In order to have pay equity, women need to have jobs, and they have been getting crushed in this anemic Obama economy." The device for the choreographed showdown in Washington was a Senate debate over the "Paycheck Fairness Act," a measure that aims to strengthen the Fair Labor Standards Act's protections against pay inequities based on gender. "Do not let these Republicans keep us from getting paycheck fairness," she told reporters, Reid at her side and a letter from her to Romney posted online by the Obama campaign. "We don't think America suffers from a lack of litigation," McConnell said. "We have a jobless problem. We have a debt problem. We have a deficit problem. We got a lot of problems. Not enough lawsuits is not one of them." First up in this category is the looming Senate debate over preventing student loan interest rates from rising next month. Look, too, for hubbubs over raising the minimum wage, extending the Bush-era tax cuts, preserving Medicare and Social Security and access to women's health care, including contraception, the officials said. The paycheck bill was aimed in part at putting Senate Republicans in tough races in the hot seat over a key women's issue. One, Massachusetts Sen. Scott Brown, issued a statement emphasizing his support for pay equity but calling the legislation "the right cause but the wrong bill." "On the heels of last week's dismal jobs report, the last thing we should be doing is putting more job-killing burdens on small businesses and employers," he said. Tweeted challenger Elizabeth Warren: "Scott Brown voted NO on Paycheck Fairness, telling MA women he thinks it's ok that they continue to earn less than men."